For those of you that don’t know me, my name is Brianna and I am in my third and final year at the University of Massachusetts, Lowell for my masters of public health with a concentration in dietetics. As we enter the month of July, my community nutrition rotation at Wright-Locke Farm is coming to an end. I had the pleasure of working with some great people and had the opportunity to learn so much about the farm and agriculture. 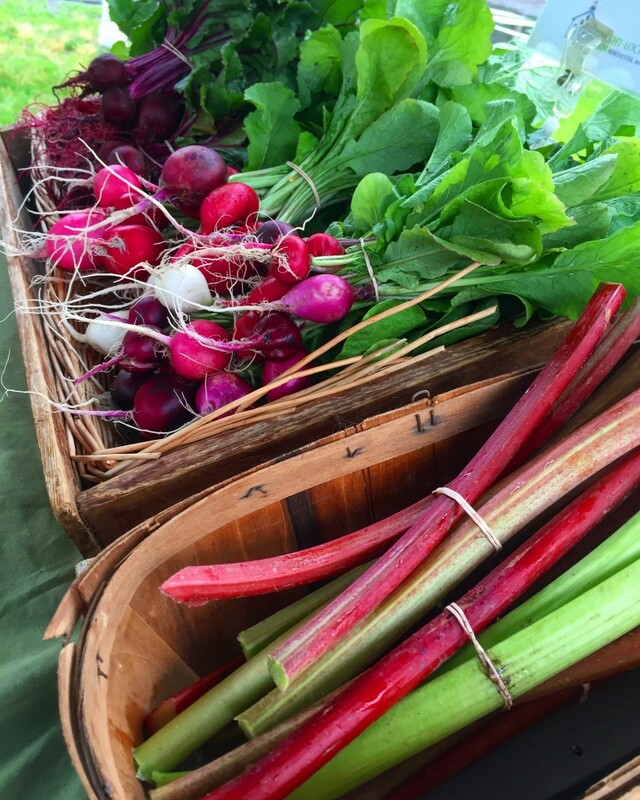 Here is some insight as to what my community nutrition rotation encompassed at Wright-Locke Farm. My days at the farm consisted of a variety of the following activities : farm work, after-school child education programs, assisting with adult education workshops, youth summer education programs, the Jenk’s Center Gardening Club, involvement in the first speaker series, visiting the farm animals, and working at farmers’ markets. 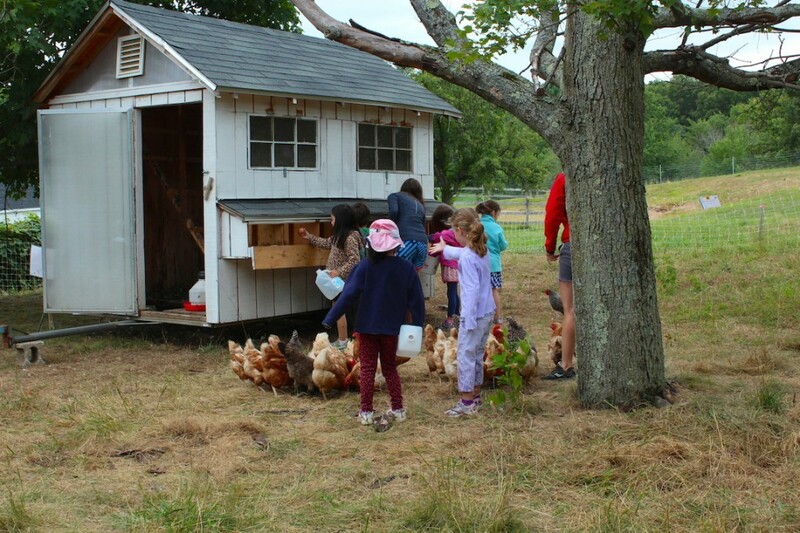 The most valuable lesson that I am leaving Wright-Locke Farm with is the relationship between nutrition education and preparing foods specifically with children. When children are involved in the planting, harvesting, and cooking processes, children retain more nutrition knowledge than they would without being involved in the processes. Children retain nutrition knowledge while they are performing tasks. One of the days at the youth ed program, the kids made a berry kale smoothie. The children groomed the garden, harvested the kale, and put all the ingredients in the blender. We talked about the health benefits of the smoothie and the children happily (!) enjoyed their healthy snack. I am leaving this internship with more knowledge and experience than I could have asked for and I am very grateful for everyone at Wright-Locke Farm for giving me this opportunity. 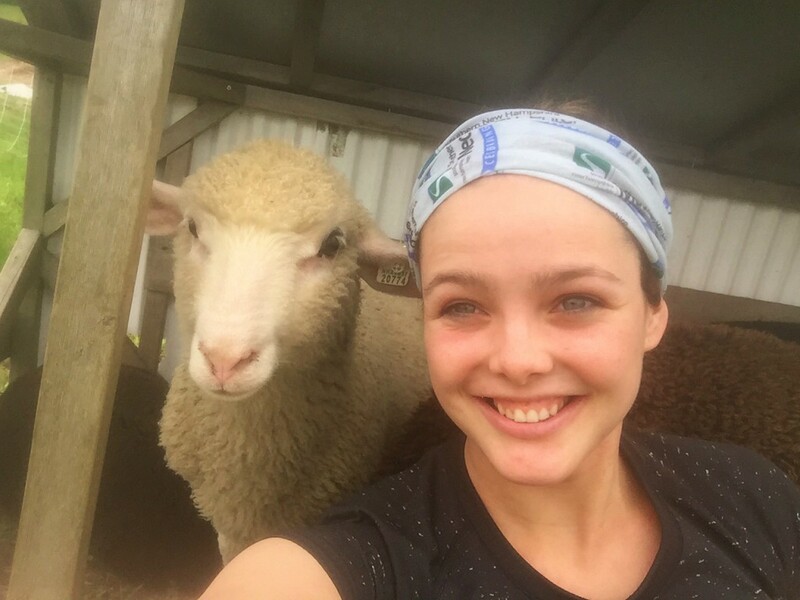 Postscript by Wright-Locke Farm Staff: Thank you Brianna for your energy, hard work, and willingness to learn from what we do at the farm. Like you, we believe that good, fresh food, cooking, nutrition, farming, and animal management are all important puzzle pieces in being a heathly individual. We know that you’ll do good things for your community whereever you go! If you’d like to hear more of Brianna’s thoughts, she was also part of this interview with Renee Barrile. 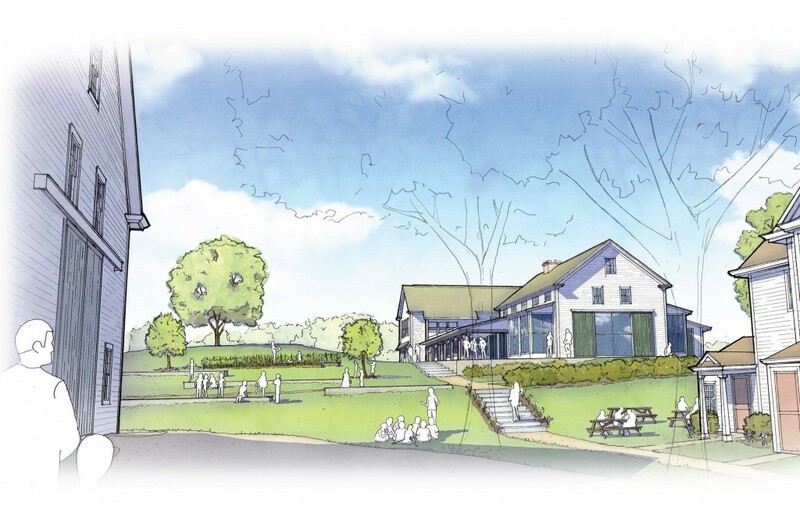 I can’t begin to imagine what the past Wright and Locke families would think if they knew we now use their farmstead to not only grow food, but to also educate the public about food and agriculture. When these two families started their operations in Winchester hundreds of years ago, everyday life in America was markedly different from the world we know today. Ordinary people didn’t get to enjoy the incredible conveniences, whether in the form of products, services, or infrastructure, we often thoughtlessly consume in the twenty-first century. For many, everyday life was still a struggle to ensure one’s family had access to the most basic necessities: healthy food, clean water, and adequate shelter. 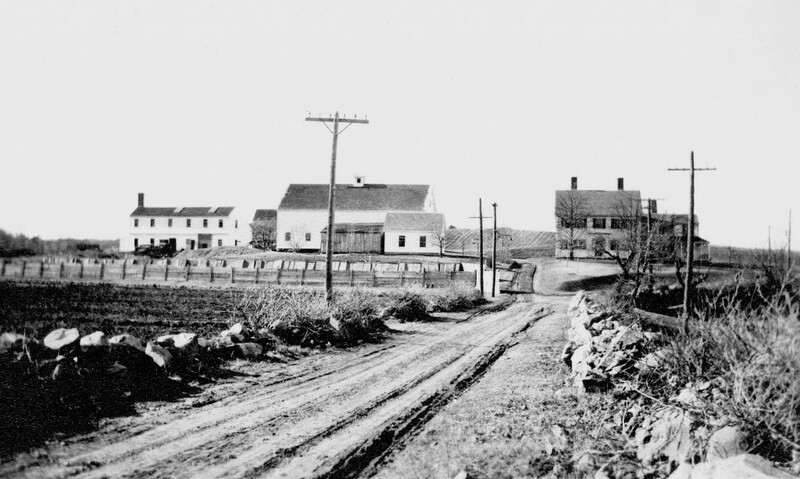 And despite advances in science and technology, and a continuing movement towards more industrial jobs, an overwhelming portion of the population still relied on agriculture for their livelihoods at the turn of the twentieth century; farmers and farm workers, many of whom were family members of the farmers, made up just under 40% of the entire American workforce at that time. 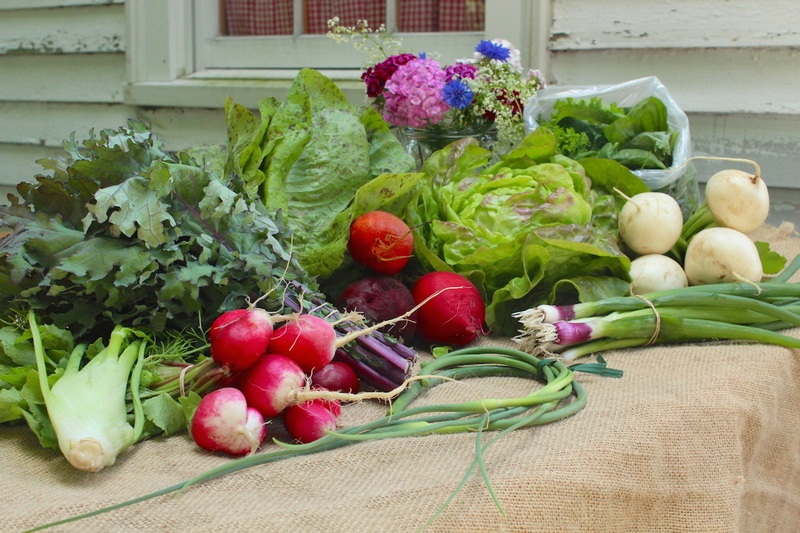 Even those not directly involved in local agriculture typically had some direct connection to it- they lived amongst farms once common in both rural and suburban neighborhoods, got fresh milk deliveries to their front door, purchased meats from their local butcher, raised a small flock of chickens for eggs, or grew their own fruits and vegetables to cook, preserve, and eat throughout the year. Today, less than 2% of our country’s workforce manage over 900 million acres of farmland on which we rely upon to grow and raise a significant portion of the world’s food supply and the raw materials needed for plant and animal-derived non-food products. Most hired farm workers (i.e. those not managing a farm operation or an unpaid family member) were born abroad and are concentrated in the more labor-intensive fruit, vegetable, and horticultural operations throughout the nation. It’s believed that most of these foreign-born workers are unauthorized, which results in a slew of issues that greatly affect both the workers themselves as well as the industry at large, since illegal workers are more often willing to accept lower wages for the physically-demanding and typically seasonal positions available. As farming in America continues to become less of a family affair and more of a global industry, there is a growing emphasis on the bottom line, which too often leads to increased production of foods that do not necessarily promote human or environmental health, but rather encourage increases in revenue above all else. While it’s understandable for farmers to seek out ways to strengthen their business models in order to survive in an industry laden with rising costs and a high risk for failure, there are a number of unsavory results born out of these changes in American agriculture. Many of these negative consequences trickle down from the farms to the consumers, who ultimately buy their products, and the landscapes from which we derive these items. Modern agriculture too often encourages crops and practices that are literally making our people, animals, land, and water sick. These trends can be disheartening to say the least, but our worries and fears will not change our reality: modern existence on planet Earth depends on agriculture. The necessary discoveries and change needed to make the industry more ecologically sustainable and increase the promotion of healthy foods will require the combined efforts of consumers, producers, and external forces such as government regulation and financial supports. But if consumers do not understand even the most fundamental aspects of agriculture, how can they begin to make the best choices for themselves and the planet? 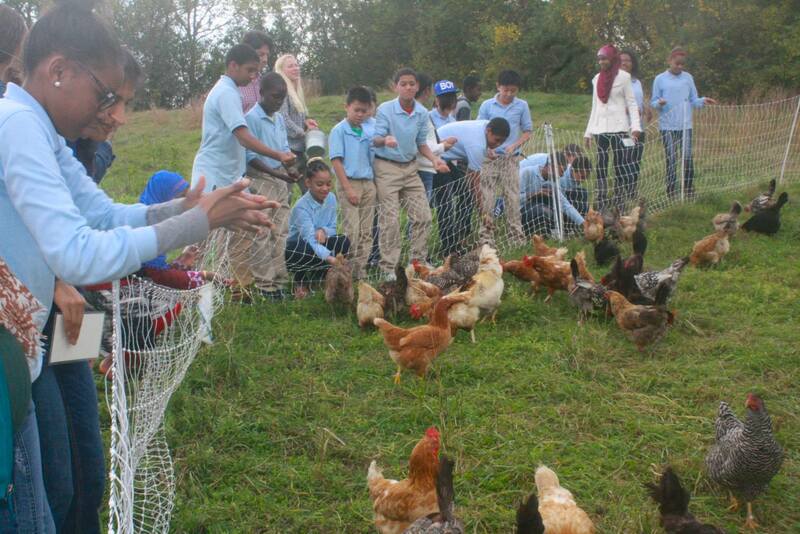 Enter: farm education. It’s certainly not a cure-all potion to instantly alleviate the many symptoms of a chronically-ill food system. But farm-based education is a means by which producers of food and other plant and animal-derived materials can teach people about the realities of agriculture when they otherwise might not get to experience such a direct connection to or understanding of food production. 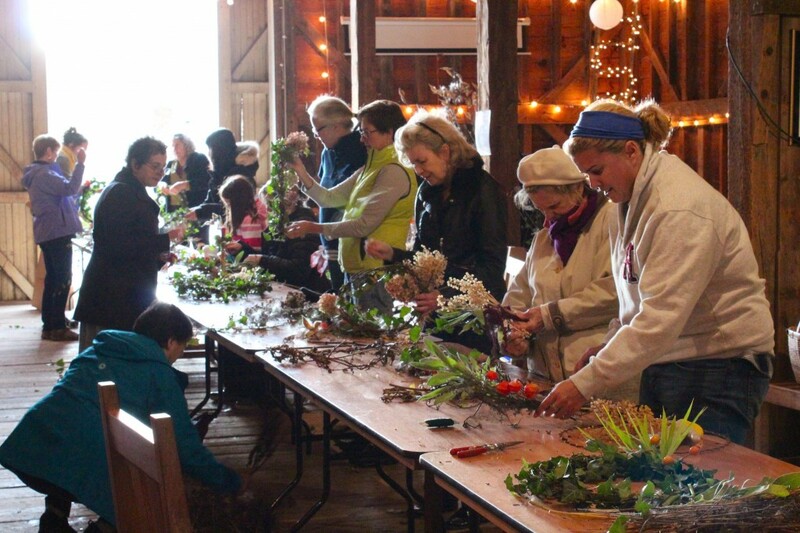 Thanks to the incredible support from the local community, Wright-Locke Farm is able to provide a diverse array of educational programs and volunteer opportunities for children and adults that connect participants to local agriculture through observational and hands-on activities at the farm or in the kitchen at Saint Eulalia’s Parish. Whether it’s learning how plants absorb nutrients from soil, why goats and sheep can eat plants like grass and poison ivy without issue, how to safely preserve homemade foods you make from your garden’s harvest, or why a hen doesn’t need a rooster to lay her eggs, our farm education programs teach both kids and adults about subjects directly connected to our unique farm landscape and the seasons while incorporating practical knowledge and skills that can be used for a lifetime. 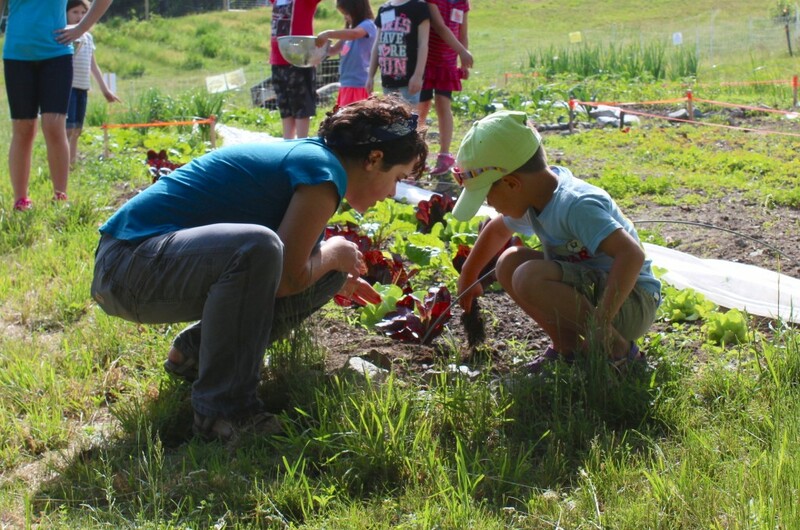 As more and more residents and students in the area discover Wright-Locke and all it has to offer, they often want to utilize the farm as a learning resource. In addition to our normal youth programs and adult workshops, we try to take on as many requests for small group subject-specific learning “in the field” as we can accommodate. A wonderful example of such learning is the story of the Plasmabots, a group of five middle school students from Lexington, MA competing in a local First Lego League “Animal Allies” Challenge. 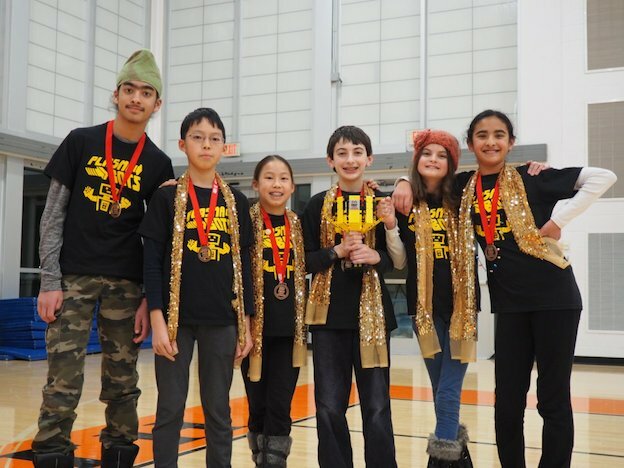 The FLL Challenge invites students in grades 4 – 8 across the United States to “research a real-world problem… and develop a solution” using technology they design themselves. 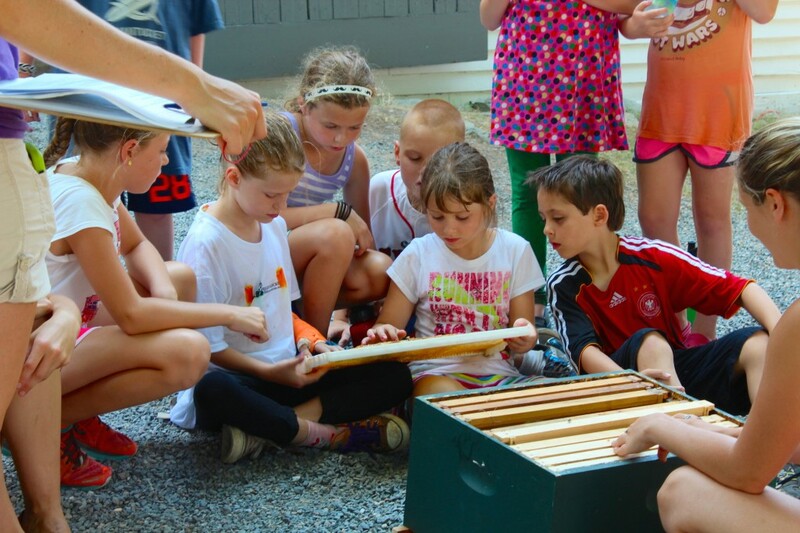 After some initial consideration about which animal population they wanted to help, the students decided to focus on honey bees and set out to design a hive that would help reduce common issues affecting them. 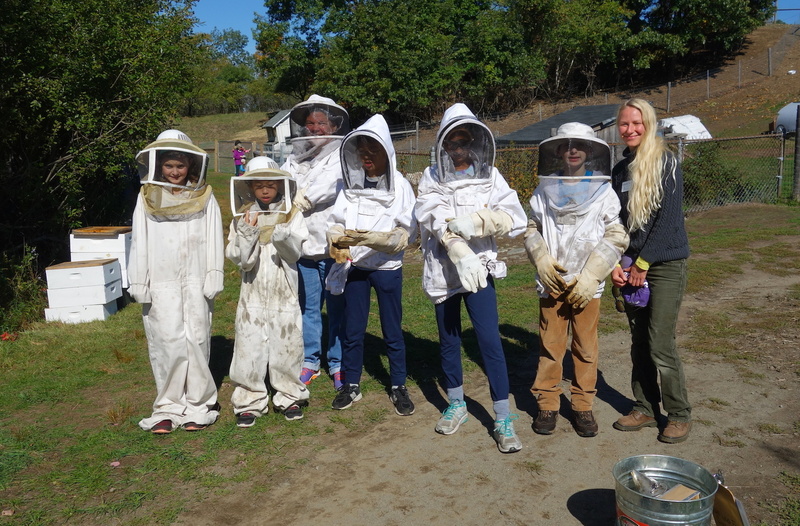 Their research included a trip to Wright-Locke this past fall to learn about the importance of bees and other native pollinators on our certified-organic farm, as well as issues we’ve experienced in our own honey beekeeping over the past five years. 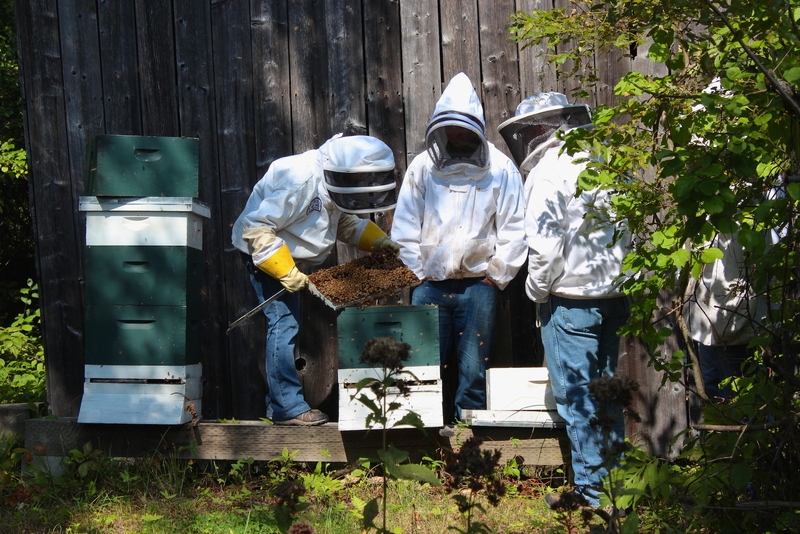 During their visit, team members also got a chance to gear up and “go in the hives” to get a closer look at the bees and harvest some raw honey to taste, straight from a frame. Based on their research, farm experience, and design feedback from executive director Archie McIntyre, the team was able to modify and improve their hive prototype before their first local competition. The group has since won first place in both their local and state competitions, got to meet state representative Katherine Clark to advocate for increased education and awareness about bee issues, and will be moving onto the world competition in St. Louis later this year! We are extremely impressed by the Plasmabots’ success, and are very thankful they’ve taken the initiative to try to help honey bees through research-based engineering and technology. We hope to continue to support their work by using their modified prototype hive this year along with our typical Langstroth hives. 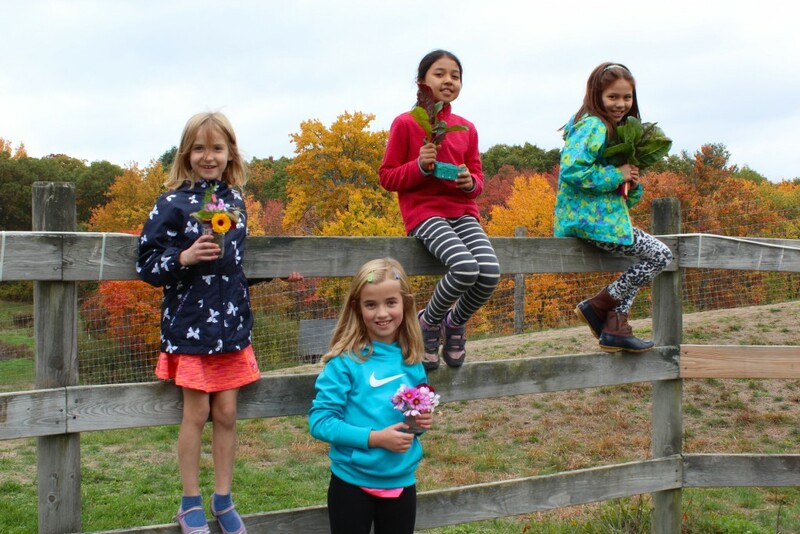 And much like the Plasmabots, and the countless other volunteers, students, visitors, and friends we have at the farm, we invite you to become a part of Wright-Locke’s growing community. 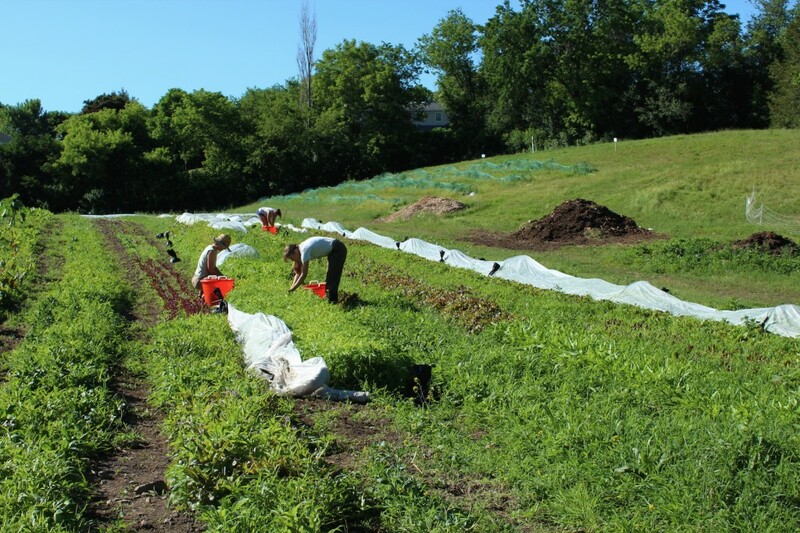 To find a way to directly connect yourself to local agriculture in a time when so few do, while taking in some of the same gorgeous views of the land that the Wright and Locke farmers once enjoyed, long ago. You can reach Rebekah at rcarter@wlfarm.org.